Advanced Custom Search PRO is a WordPress plugin for anyone who needs an advanced search for posts or custom posts in WordPress admin or in frontend, without additional code: just drag and drop in the Visual Builder. You can perform complex queries directly from the posts list and use specific filters for each field. 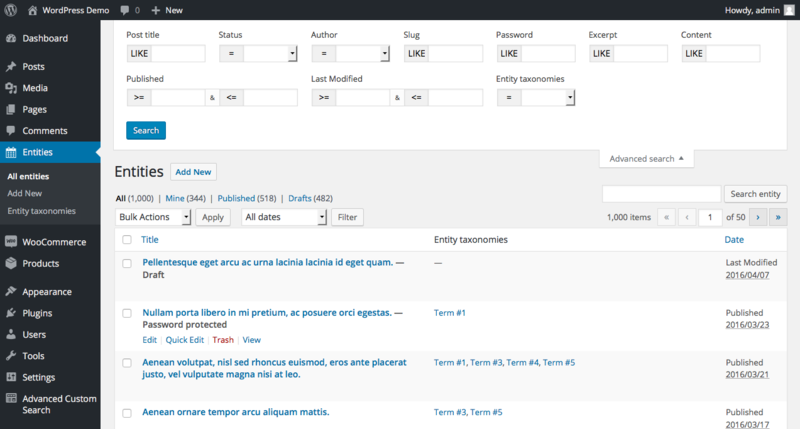 Search in WordPress built-in and custom post types by any post attribute. Specify which comparison operator you want to use. Advanced Custom Search PRO lets you easily perform advanced searches for posts; in every posts list of your WordPress backend there is an Advanced Search button by which you can open the search form. Advanced Custom Search PRO lets you create search forms for your website visitors. A Search Form allows the users to search and filter a post archive. 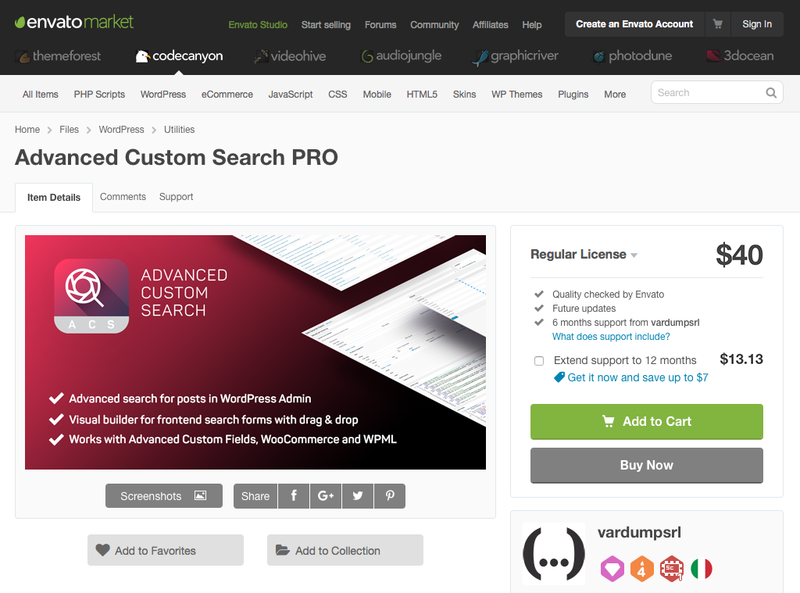 You can buy Advanced Custom Search PRO on Envato Market. Ask questions directly on the plugin support page or take a look at the plugin documentation. Copyright © 2016 VarDump s.r.l.